Put all your RIT gear in one easy to use bag. The most important aspect of a RIT, is that they are rapid. Keep a full RIT kit easily at hand so you can grab and go. This RIT bag contains 3 tool pockets and a large rope bag. The hook and loop closures allow for secure storage and easy access even with gloves on. 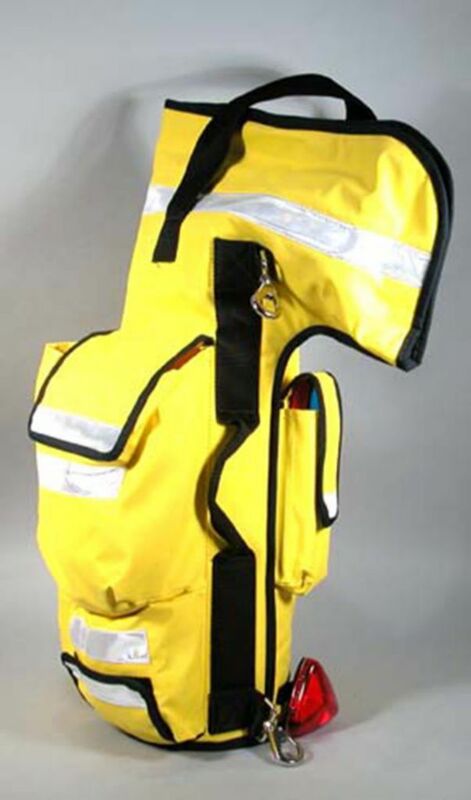 The high visibility yellow color and reflective strips make it easy to find and there are 2 clips to attach a hooligan, so its always available.